"People beg on the streets not because they wish to, but because they need to. Begging is their last resort to subsistence." 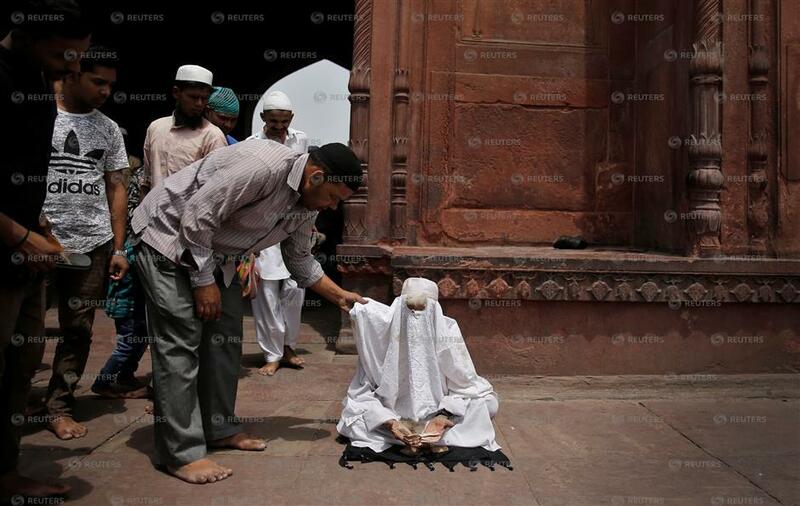 A man begging for money while posing as a woman is confronted inside Jama Masjid (Grand Mosque) on the second day of Ramadan in the old quarters of Delhi, India, May 18, 2018. In an order on Wednesday, the Delhi High Court declared several provisions of the legislation to be unconstitutional. "People beg on the streets not because they wish to, but because they need to. Begging is their last resort to subsistence," acting Chief Justice Gita Mittal and Justice Hari Shankar wrote in the 23-page order. "Criminalising begging is a wrong approach to deal with the underlying causes of the problem (and) violates the fundamental rights of some of the most vulnerable people." Rights campaigners have argued that the law's description of begging was overly broad, and that it allowed the police to detain or arrest anyone who is poor or homeless, including nomadic communities, street performers and migrant workers. "The law against begging is one of the single most oppressive laws against poor and destitute people in a country that has no social protection net," said Harsh Mander, a campaigner and lead petitioner in the case. "We are very satisfied with the order, and expect other states will follow suit in decriminalising begging," he told the Thomson Reuters Foundation by phone on Thursday. "The State simply cannot fail to do its duty to provide a decent life to its citizens and add insult to injury by arresting, detaining and ... imprisoning persons who beg in search for essentials of bare survival," it said.